Are you looking for a new mobile game to try this weekend? Whether you’re a fan of shooters or hidden object games (or something in between), there are plenty of new games to try this week, including James Bond: World of Espionage, a text and menu-based strategy RPG from Glu Mobile. Crossy Road fans can try the latest game from creators Matt Hall and Andy Sum, as Mighty Games’ Shooty Skies launched on iOS. The game is an endless arcade shooter that sees players dragging their finger around the screen to destroy or avoid oncoming enemies. Electronic Arts also released its newest game, Need for Speed: No Limits, a free-to-play street racing game developed by Firemonkeys, the company behind Real Racing 3. Looking for something else to play? Here’s a look at some additional games released this week. 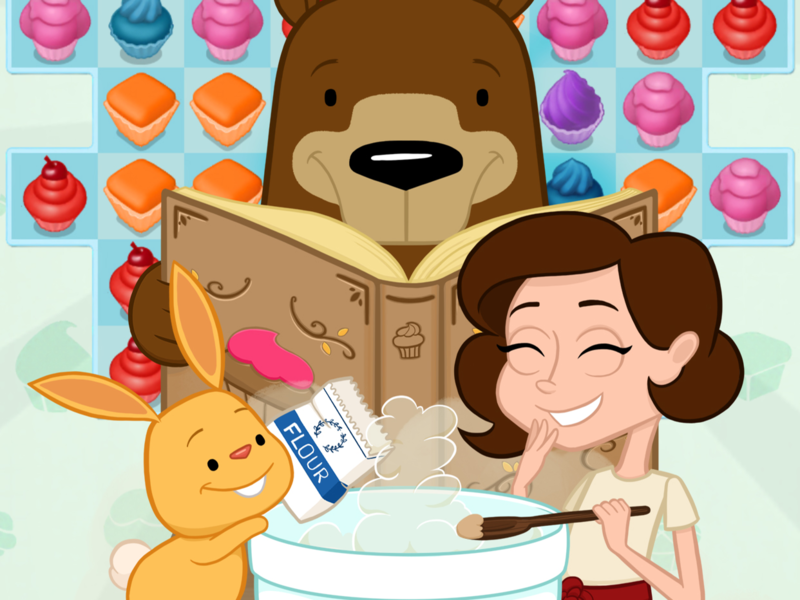 Bake Escape (Free on iOS) – From developer Exient and publisher Chillingo, Bake Escape is a match-three puzzle game asking players to help Victoria Sponge and her animal friends complete levels by sliding whole rows or columns of treat symbols to create lines of three or more matching treats. By making matches with four or more symbols, players create special power-ups capable of clearing an entire row or column of symbols, or clearing all symbols of a single color currently on the board. Levels become more complicated as players progress, and may ask them to earn a large number of points before running out of moves, or to clear cookie squares from the board by making matches on top of them, as examples. Alpacalypse (Free on iOS, Android) – From b-interaktive, Alpacalypse is an endless shooting title, which sees players using two fingers to aim and shoot at oncoming enemies. To aim, players alternate between holding a finger on the left side of the screen and letting go to lengthen or shorten the length of the alpaca’s neck. At the same time, they must tap on the right side of the screen to spit, or shoot at enemies. While playing, rockets will appear on the screen, which reward players with power-ups if they’re shot. These powers may include lightning strikes or alien abductions, as examples, which help players clear enemies. Gamers earn points as they defeat enemies, with games ending once an enemy reaches the alpaca on the far left side of the screen. Players can share their high scores with friends. Pac-Man Bounce (Free on iOS, Android) – From Bandai Namco Entertainment Europe, and developed by Bandai Namco Studios Vancouver and Victory Square Games, Pac-Man Bounce is a level-based puzzle game asking players to help Pac-Man navigate environments by creating a path for him to safely reach the key somewhere in the stage. Once players tap on Pac-Man, he will move in straight lines around the world, and will automatically turn as he hits arrow tiles on the ground. If he hits a wall, he’ll bounce off and begin moving in the opposite direction. Players can manipulate the direction of some of these arrow tiles to create the proper path for Pac-Man, but will need to watch out for obstacles like pits and ghosts. Gamers can collect up to three stars on each stage by having Pac-Man touch them while moving. A hint system is available when gamers need help completing a stage, and is activated by watching a video ad. Gameplay is limited via an energy system, with energy recharging automatically over time, and being available to purchase with premium currency. Gamers can also watch video ads to earn free energy. Hidden Agendas: The Lionheart Mystery (Free on iOS) – From Pocket Gems, this hidden object adventure game stars Kate St. Clair, a journalist and detective in the late Victorian era. Players will complete hidden object scenes to find clues relating to each of St. Clair’s cases, and can give these clues to the local newspaper to earn coins. As players progress, they’ll spend those coins to unlock new hidden object scenes, or to upgrade existing scenes, unlocking new clues for discovery. Players will also collect film rolls as they progress, which can be ‘developed’ into new items. Gameplay is limited via an energy system, with energy being required to complete each hidden object scene. Scenes also take time to unlock, after they’re purchased.